Elena’s research is geographically situated in Flint, Michigan, where the decision to change the drinking water source from a lake to a river in 2014 resulted in the leaching of substantial amounts of particulate lead from the aging pipes that service the city. Elena’s developing ethnographic project asks how living with water contamination and the infrastructural violence of an unsafe water system is an embodied experience mediated by class, race, and Flint’s history of deindustrialization. Elena is interested in how various regimes of statecraft, science, humanitarianism, and medicalization are operationalized and contested in the context of this crisis, and how conceptions of the body and the environment are transformed in the process. Before coming to MIT, Elena worked with the American Red Cross chapter in Flint, where she supervised regional diversity initiatives and served as an assistant director of disaster information and planning. 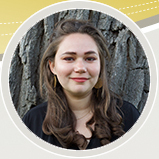 Elena graduated with a joint BA in cultural anthropology and music from the University of Michigan-Flint, where she completed an undergraduate thesis about the ethics of care implicated in biomedical understandings of autism.